This article offers quick instructions on how to generate a CSR code and install an SSL certificate on Sentora web hosting control panel. 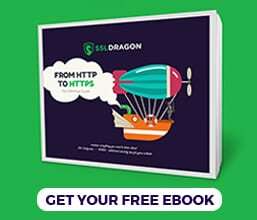 Split into four sections, this guide begins with CSR generation and SSL installation guidelines, and finishes off with a brief Sentora history, as well as useful SSL buying tips. Note: This tutorial works with Ubuntu version 12.04 LTS or higher. If you’ve already applied for your SSL Certificate and received it from your CA, feel free to skip part one and jump straight to the configuration steps. Where to buy the best SSL Certificate for Sentora? Note: Don’t forget to replace yourdomain with your real domain name. For example, if your domain name is yoursite.com, you must type yoursite.key and yoursite.csr. Open the CSR file with any text editor of your choice such as Notepad, and copy its contents including the —–BEGIN CERTIFICATE—– and —–END CERTIFICATE—– tags into the corresponding box during the SSL order process. Wait for the SSL Certificate to arrive in your inbox. After your CA sends the necessary files to your inbox, download the ZIP folder and extract its contents on your device. Your Intermediate CA certificate (the name will vary depending on your SSL provider). Note: Some CAs will send you the CA Bundle file containing both root and intermediate certificates. In this case, disregard the next step. If you received the Root and Intermediate certificates in separate files, you need to merge them in a single plain text document. Open a text editor of your choice such as Notepad and copy-paste the code from your Root certificate file, followed by the code from your Intermediate certificate. Make sure you don’t leave any blanks spaces. Save the file and name it domain_com.ca-bundle.crt. You will also need your CSR file (domain_com.csr). Note: You must replace the names above with your actual certificate and domain names. Congratulations, you’ve successfully installed an SSL Certificate on Sentora web hosting panel. You can now access your panel via the HTTPS protocol. After you install an SSL Certificate on Sentora, it’s recommended to scan your new installation for potential errors or vulnerabilities, just to be on the safe side of things. With this powerful SSL tools, you can get instant reports on all facets of your SSL Certificate and its configuration. Sentora is a free, open-source web hosting panel developed for Linux, UNIX, and BSD servers and computers. Founded in 2014 by the previous members of the ZPanel project, Sentora is the continuation of the ZPanel, which had almost seized after the acquisition by Hostwinds LLC. The latest stable Sentora release is version 1.0.3. To help you select the perfect SSL certificate, we created a couple of handy SSL tools. 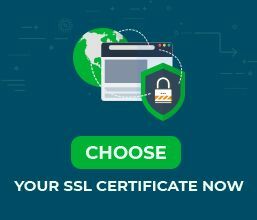 Our SSL Wizard can recommend the best SSL deal for your online project, while the Certificate Filter, can help you sort and compare.